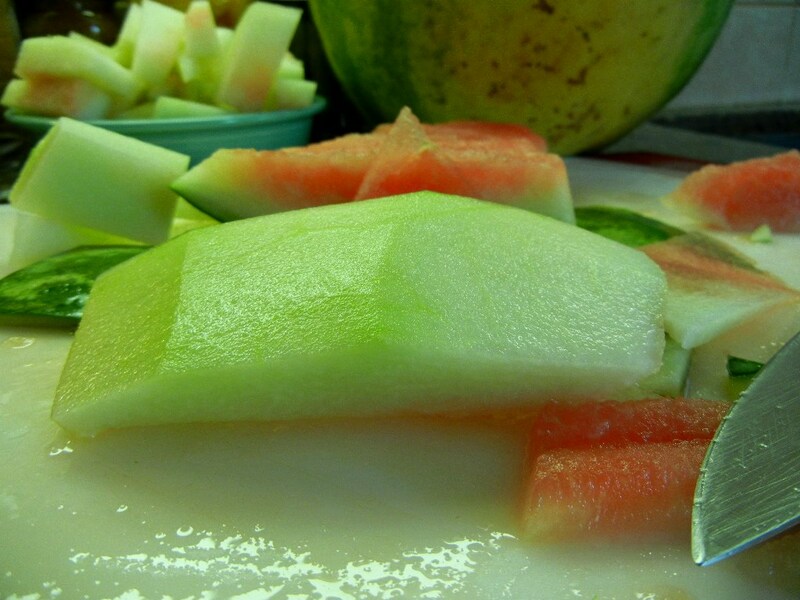 Puree the cantaloupe in a blender or food processor, divide between two bowls. Drizzle with the cream (you won’t need all of it). Using a vegetable peeler, peel ribbons of cucumber from the length of the cucumber stopping when the seeds are reached. In a bowl toss together the cucumber ribbons, chive, mint, Mirin, vinegar, sugar, salt and olive oil. 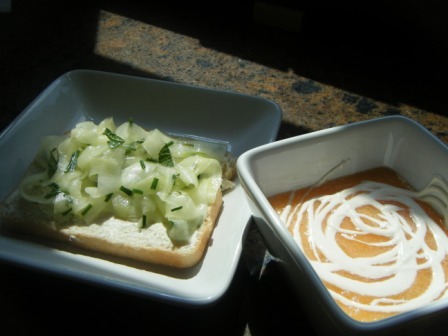 Spread the Boursin thinly over the two slices of bread, divide the cucumber mixture between the two slices.